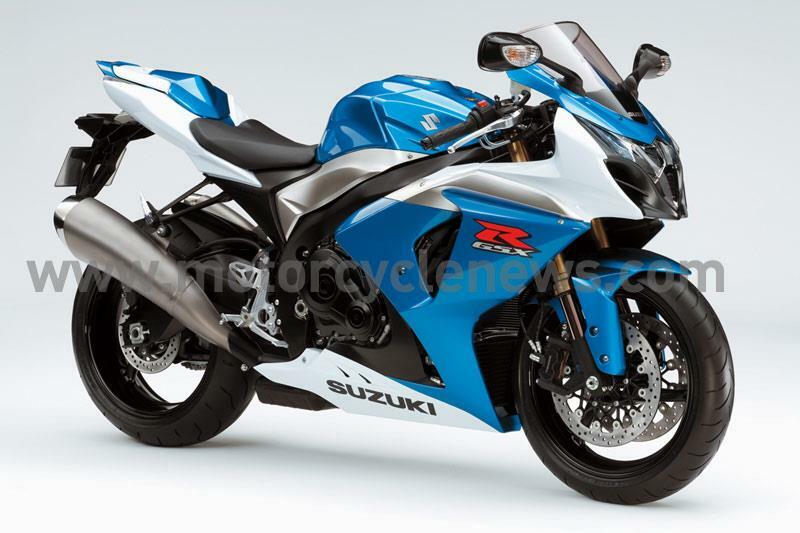 Suzuki has just released the first official picture of the all-new 2009 GSX-R1000. The key change is an all new engine that is 59mm shorter than the outgoing K7/K8 model, allowing a longer swingarm, though the wheelbase is 10mm shorter at 1405mm. The changes have been made to ‘increase agility and race track performance’ according to Suzuki. Compression is higher according to Suzuki, but Suzuki declined to release further information. Showa’s Big-Piston forks (as seen on Honda BSB bikes and the new Kawasaki ZX-6R) have fewer internal components and have a lower oil pressure than conventional forks, giving smoother action. A new shock with high and low-speed compression damping matches the new forks. New Tokico four-piston radial calipers are also used.